Cash and Carrots: unexpected Hazelnuts! At the back of our allotment is a small tree which is a good perch for the local birds. 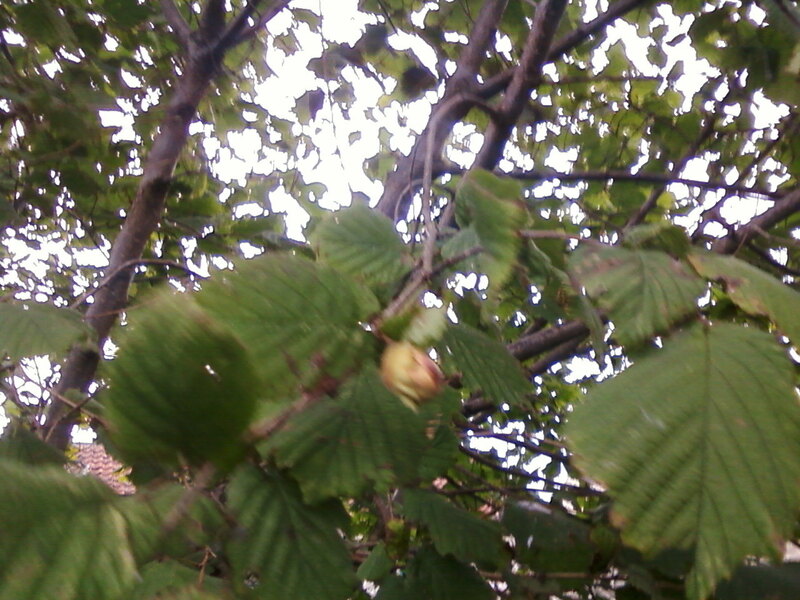 The other day, after a early autumn gale I noticed a hazelnut on the ground, just assumed it has been blown by the wind into the allotment. 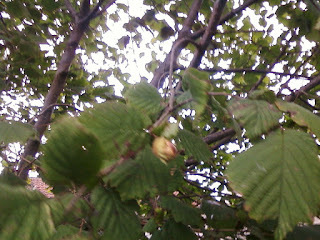 A day or two after I was in the allotment with one of my daughters, she found another one and we looked up and noticed that the tree had some hazelnuts! Now, having had the allotment over 5 years and the tree being there for all of that time it was quite a pleasant surprise! It will also be a time saver as I have been going up to a local wood (about a mile away) to forage for them. Anyway, we roasted them in their shells and they are pretty good! Hope next year we get lots as the tree matures!